For generations, young Americans could go all the way through high school without learning that lesbian, gay, bisexual and transgender people have long been part of their country’s history. Spurred by gay rights victories at the Supreme Court and elsewhere in recent years, a Lowell, Massachusetts-based organization, called History Unerased, is trying to change that by training teachers to bring that knowledge to U.S. classrooms. The former high-school teacher started the nonprofit group with a colleague in 2015. It is the only entity licensed by the U.S. Department of Education to provide lesson-ready curricula covering LGBT issues. The program, which includes historical documents such as newspapers, letters and interviews, ranges from having second-graders talk about a boy who was made fun of in the 1950s for acting differently from his classmates to discussions for high schoolers about the 2015 Supreme Court decision legalizing gay marriage in all 50 states. The group may face an uphill battle in getting school districts across the nation to incorporate its materials into existing literature, history and science classes because some social conservatives have expressed outrage at the idea of introducing LGBT topics to young students. Such issues remain highly controversial, as evidenced by Republican President Donald Trump’s revocation of Democratic predecessor Barack Obama’s guidance to public schools to allow transgender students to use the bathrooms of their choice. “Teaching quality history, literature, math and any other curriculum does not warrant discussion by kindergartners about a person’s sexual conduct or preferences,” Massachusetts Family Institute President Andrew Beckwith said. “It concerns me that these ideas would be included in classrooms with children as young as 6 years old,” said Beckwith, whose organization had long fought gay marriage. 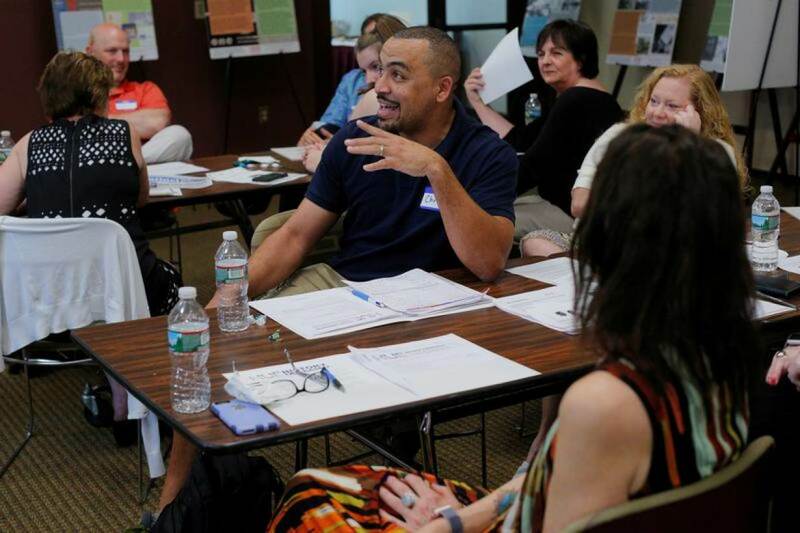 Besides producing materials for lessons, History Unerased has run training sessions for about 400 teachers from Massachusetts, Connecticut, Rhode Island and New York. The group is in talks with public school districts in New York City, San Diego and Broward County, Florida, about using some of its content in the next academic year. The subject is particularly fraught for children and teens who may be just coming to terms with their own sexuality. History Unerased cites statistics that four of five LGBT youths report being bullied and that LGBT students are 30 percent more likely than their straight peers to drop out of school. Advocates say the U.S. educational curriculum often addresses issues involving other minority groups, such as black and Latino Americans, but not LGBT topics. The program does not attempt to apply modern labels to historic figures. For instance, lessons do not focus on whether 19th-century American poet Walt Whitman was gay, a question scholars are still debating. Instead, History Unerased tells stories of people who clearly identified as gay, such as Sylvia Rivera, one of the leading figures of the 1969 New York Stonewall riots, and Bayard Rustin, who played a prominent role in the 1960s civil rights movement. Sara Rosetta “Lyons” Wakeman, a woman who dressed as a man to fight for the North in the U.S. Civil War, was chosen specifically because history does not make her motives clear. Some educators who have worked with the group said they found that the issues the program raised surprise the students less than their parents. At Broward County public schools, where 1.4 percent of high-school students say they are transgender, LGBTQ+ Coordinator Kezia Gilyard said History Unerased could help LGBT students feel fully included in the school community.